Ball Invitation from the collections of the Worthington Historical Society (WHS) may be used for educational purposes as long as it is not altered in any way and proper credit is given: "Courtesy of the Worthington Historical Society, Worthington, OH." Prior written permission of the WHS is required for any other use of Ball Invitation. Contact WHS at info@worthingtonhistory.org to request permission. Ball Invitation is text, with genre portraits. Its dimensions are 2.75 in. x 5 in.. It was created on Wednesday, January 1, 1817. 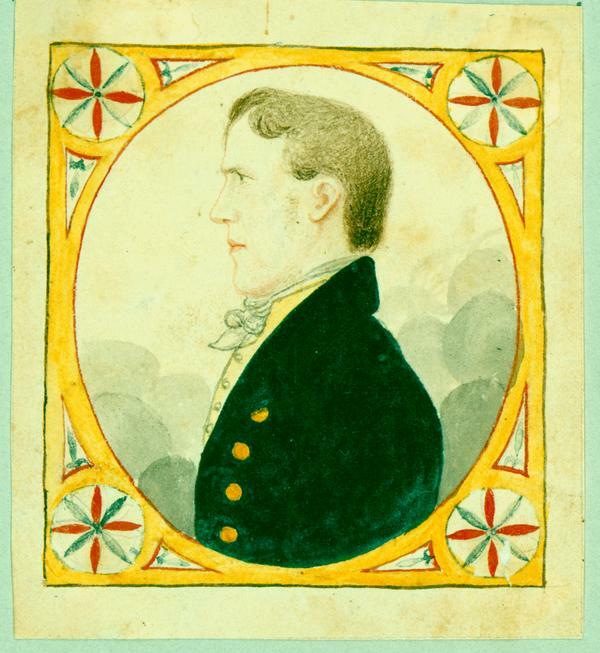 The three images show some rare examples of early Worthington paper crafts. 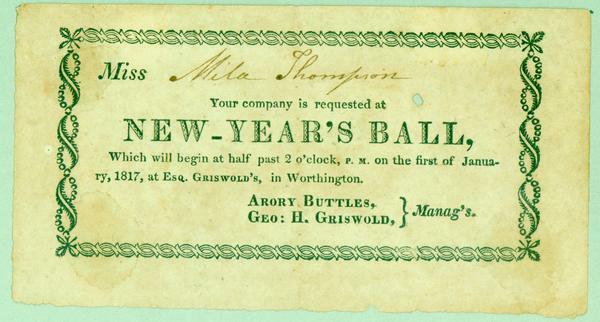 The center image is an invitation to a New Year's Ball, to be held at the Griswold Inn in the second floor ballroom. Dancing was an important part of recreation and socializing on the frontier. There were more men than women, and balls provided a means for single men and women to meet. The invitation was probably printed on the printing press owned by Ezra Griswold. 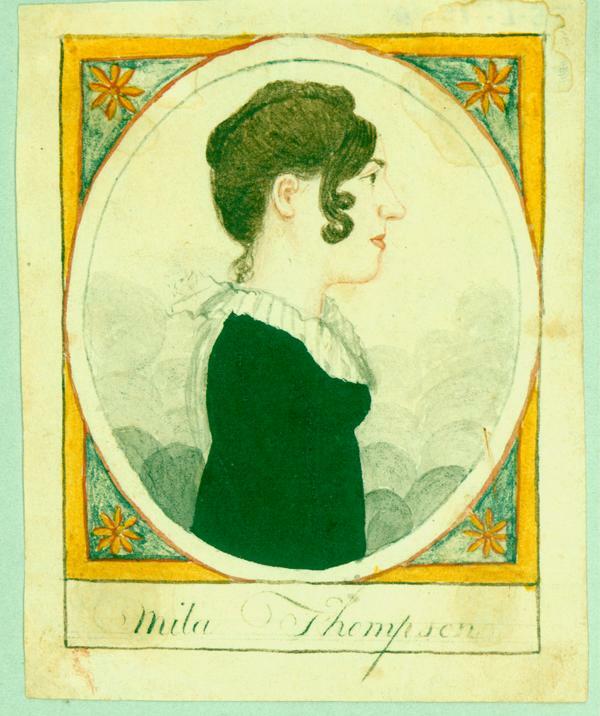 The images on either side are of Mila Thompson and George Harlow Griswold, who later married in 1820. Profile portraits or silhouettes. done by the dancers, were popular party favors of the period. It covers the topics dance and Griswold Inn. It features the people George Harlow Griswold, 1795-1876 and Mila Griswold (née Thompson), 1798-1871. The Worthington Historical Society identification code is 55-L-187. The Worthington Memory identification code is whs0015_001. This metadata record was human prepared by Worthington Libraries on November 12, 2001. It was last updated October 13, 2017.